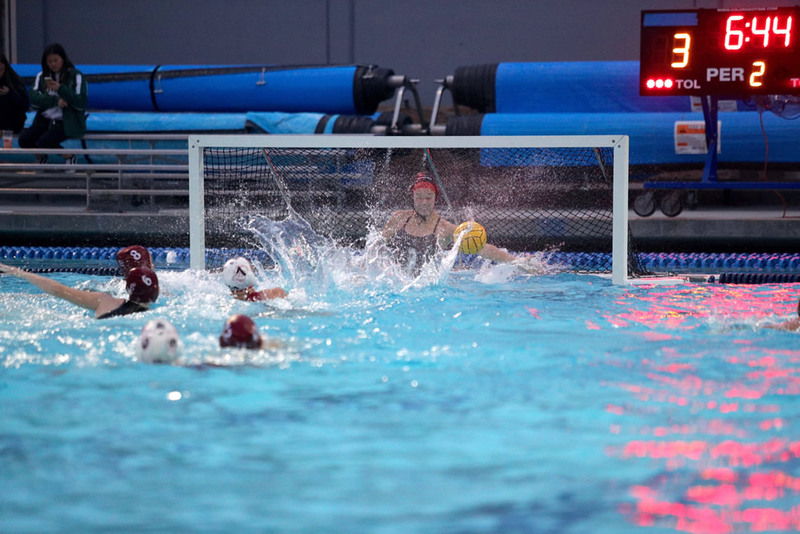 Goalie Thea Walsh blocks in the Breakers’ CIF final in February. She joins teammate Aria Fischer on the USA women’s water polo team next month. Phtoos by Cheryl Baldridge. 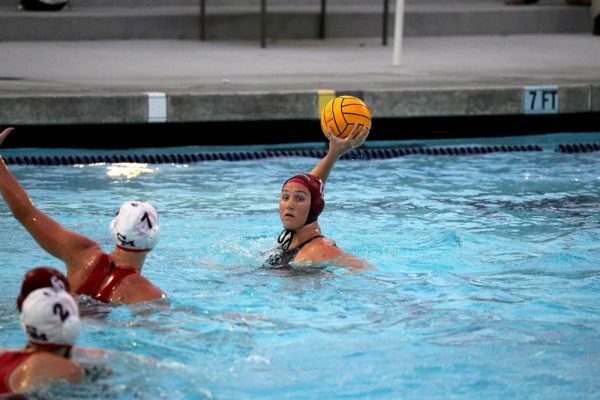 Laguna’s goalie, junior Thea Walsh, and team MVP, senior Aria Fischer, will join the 13-player roster of the USA Women’s National Team for the FINA Intercontinental Tournament May 2-7 at UC Davis, USA water polo announced last week. LBHS head coach Ethan Damato will serve as an assistant to USA’s Olympic coach Adam Krikorian for the event. Games will be streamed live at facebook.com/USAWP. LBHS senior and gold medalist Aria Fischer passes in the championship match in February.